Discover the authentic Hawaiian lap steel sound with the 3611 Ozark Hawaiian electro lap steel guitar. Its solid mahogany top produces a versatile sound with plenty of response and good control of bass and treble frequencies. This beautiful Weissenborn-style guitar is easy to play and its sustained rich tone is supported by a quality under saddle transducer with 4-band EQ. 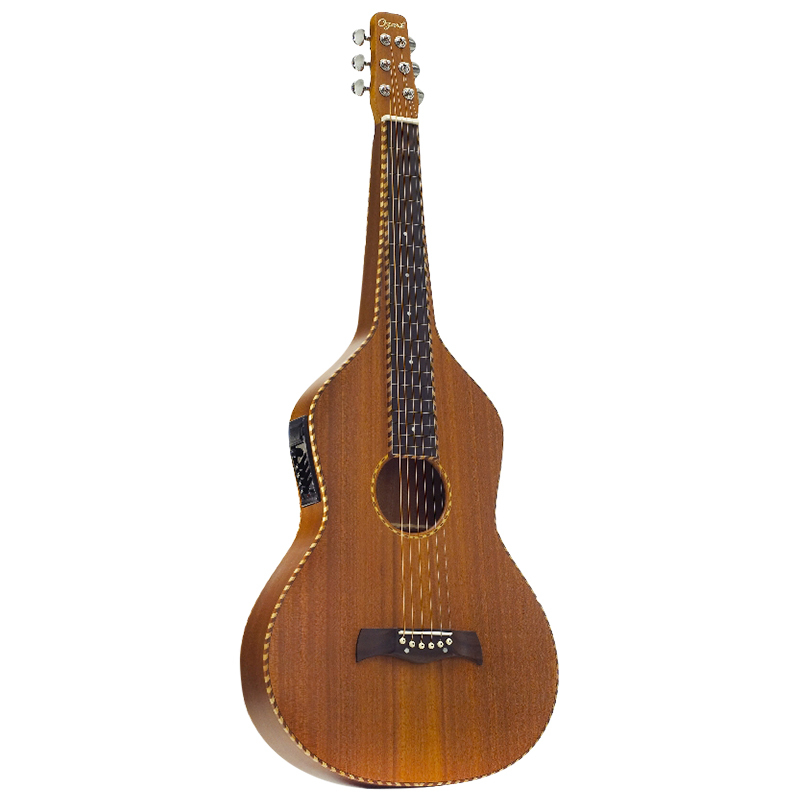 This is a well-built, attractive Hawaiian guitar finished with traditional rope bindings. It comes in its own smart fitted hard case. Suitable for many styles of playing including bluegrass and blues styles, not just Hawaiian.